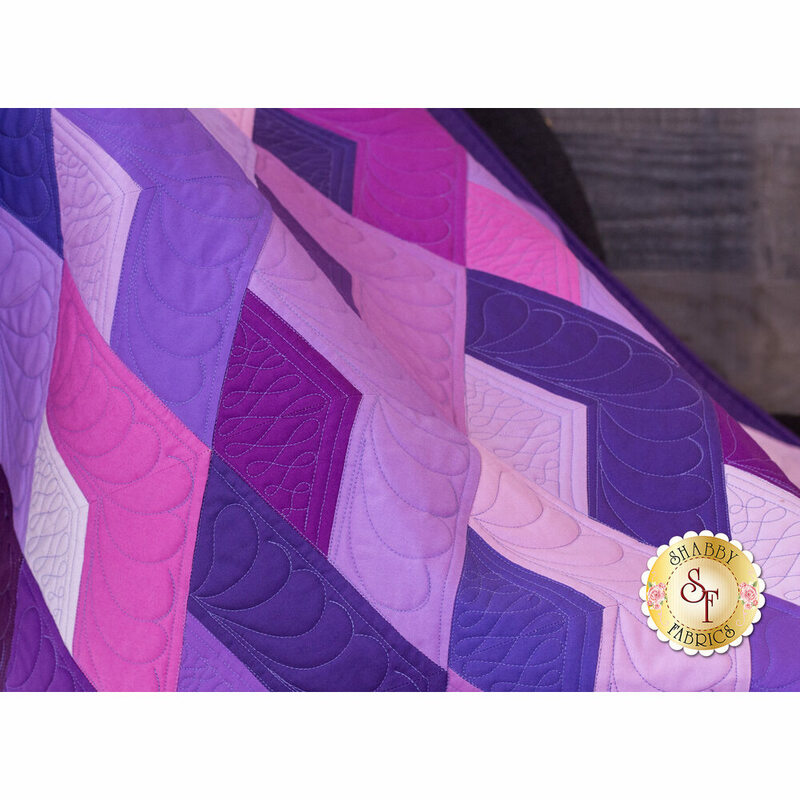 Give your home a modern feel and a splash of color with the vibrant Boomerang Quilt! This eye-catching quilt features an expertly coordinated array of Kona Cotton fabrics in a stunning geometric design. 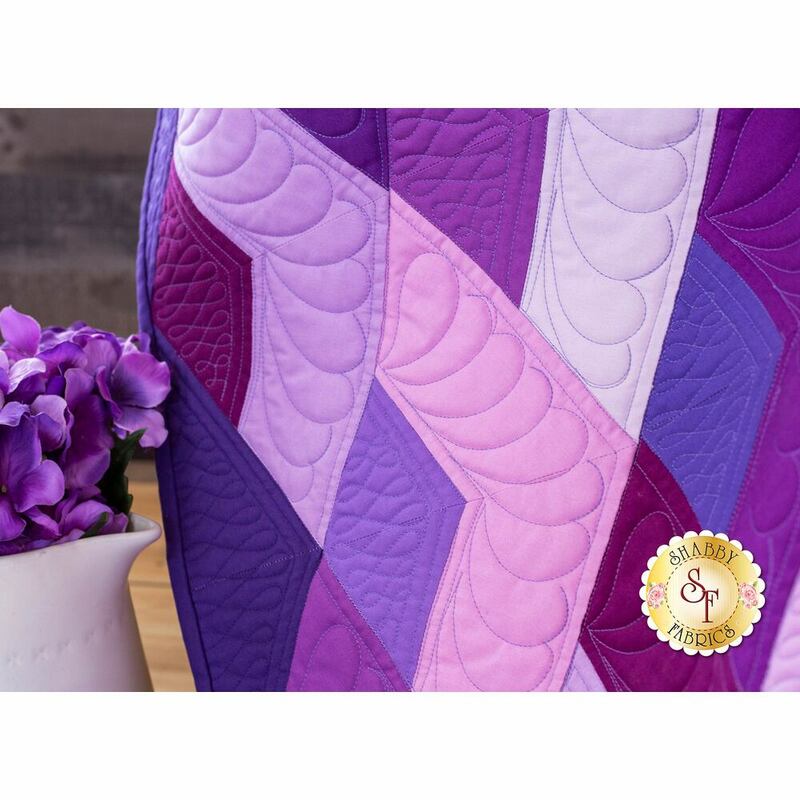 Simple piecing using the Super Sidekick Ruler makes this quilt come together quickly and easily! 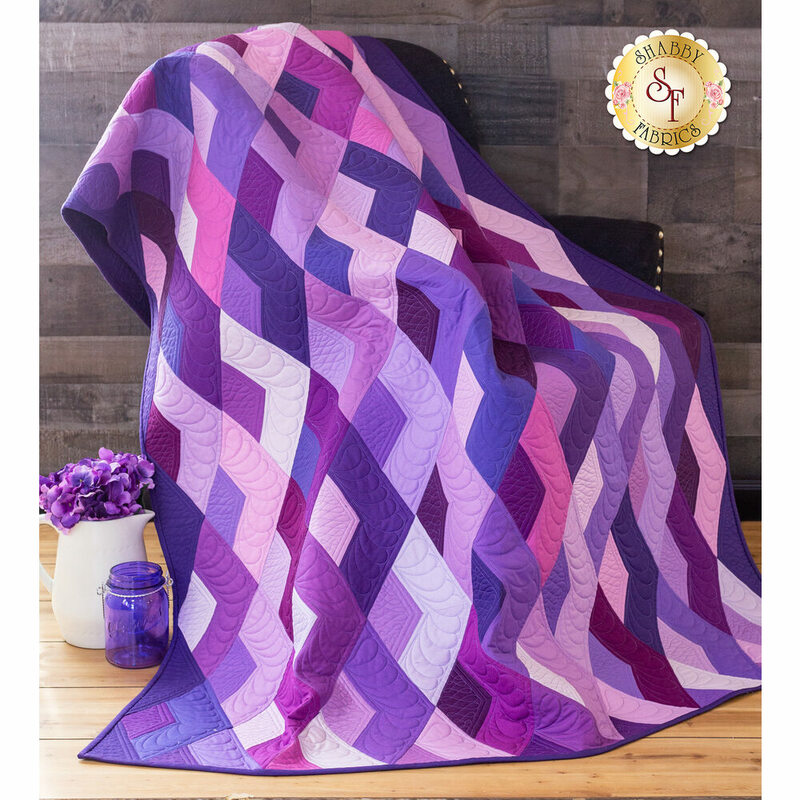 Quilt measures approximately 56" x 72". A solid coordinating backing is available below!